Yes, this is how Oliver Sacks rolled in 1961 (in Greenwich Village on his BMW). When Oliver Sacks was twelve years old, a perceptive schoolmaster wrote in his report: “Sacks will go far, if he does not go too far.” It is now abundantly clear that Sacks has never stopped going. From its opening pages on his youthful obsession with motorcycles and speed, On the Move is infused with his restless energy. As he recounts his experiences as a young neurologist in the early 1960s, first in California, where he struggled with drug addiction and then in New York, where he discovered a long forgotten illness in the back wards of a chronic hospital, we see how his engagement with patients comes to define his life. With unbridled honesty and humor, Sacks shows us that the same energy that drives his physical passions — weightlifting and swimming—also drives his cerebral passions. He writes about his love affairs, both romantic and intellectual; his guilt over leaving his family to come to America; his bond with his schizophrenic brother; and the writers and scientists—Thom Gunn, A.R. Luria, W.H. Auden, Gerald Edelman, and Francis Crick among them— who influenced him. On the Move is the story of a brilliantly unconventional physician and writer — and of the man who has illuminated the many ways that the brain makes us human. Stayed tuned for updates, and follow us on Twitter and Facebook for more photos and excerpts! Have you ever wondered what it would be like to be completely unable to communicate with others … for your entire life? This four-minute film is a must-see. In Seeing Voices, Dr. Sacks writes about the many aspects of deaf culture and history, and the importance of language and communication for everyone. Deaf people, especially those born deaf, have long been marginalized–at one time they were considered mentally inferior, unfit for marriage and parenthood (and even incapable of entering the “kingdom of heaven” because they couldn’t “hear” the voice of God). Even today they are often discouraged from communicating in their own, visual, sign languages, which are linguistically just as complex and expressive as any spoken language. In the early 19th century, two very different men–Laurent Clerc, a (deaf) Frenchman and Thomas Gallaudet, a (hearing) American—bridged the formidable linguistic gap between them to bring sign language and deaf education to the United States. By the time of the Civil War, the campaign for deaf education had become the first civil rights movement in the U.S., and a model for the women’s suffrage and later movements. Movements of the Soul is a riveting and inspirational new play about the friendship between Clerc and Gallaudet and their extraordinary enterprise. A groundbreaking piece of theatre, it is fully accessible to both deaf and hearing audiences, performed in ASL, English and French. The cast and crew include a talented company of both deaf and hearing artists including actors Lewis Merkin (“Spin City”, Broadway: Children of a Lesser God, West End: Equus), Frank Dattolo (National Theatre of the Deaf, Principal of Lexington School for the Deaf) , Alexandria Wailes (Broadway: Big River), and Jordan Lage (Broadway: Race, Speed the Plow, Inherit the Wind). Dr. Sacks has joined the project as an Honorary Board Member, but we need your help not only to bring this play to an off-Broadway stage next spring but also to produce a documentary film which can reach even more people. Please help us spread the word by forwarding this newsletter to your friends. And please check our fundraiser page at Indigogo and make a contribution, large or small. Thank you! In early June, Dr. Sacks went to a 100th birthday party for his cousin Marjorie Kenyon in Jerusalem. She reminisced about his antics as a “young whippersnapper,” and about her own days as a pediatrician in England. Though he has mainly been working on his autobiography this year, Dr. Sacks has also written two short articles. One is a reminiscence of libraries he has loved, which you can read in the current issue of Threepenny Review. The other is a piece about the ginkgo tree and its unusual leaves, which will appear in next week’s New Yorker magazine, on newsstands November 17. In other news, the documentary film Alive Inside, which features Dr. Sacks, is about the incredible power of music to help people with dementia and other neurological problems. It’s on a couple of shortlists for an Academy Award nomination, and it won the Audience Award at Sundance earlier this year. Bravo! Alive Inside features Connie Tomaino, who was recently honored with a lifetime achievement award from the Association Music Therapy Association for her pioneering work at the Institute for Music and Neurologic Function. Connie is Dr. Sacks’s chief advisor on music therapy, and he dedicated Musicophilia to her. Congratulations, Connie, and Happy Birthday, Marjorie! If you like either of these, please share! If you know of a school, hospital or organization that would be interested in hosting a screening and discussion please email Hot Stove at hotstoveproject@gmail.com or Kings Park at wpi@wildlightproductions.com. Together, we can make a difference. PS: If you missed Dr. Sacks’s recent essay “The Mental Life of Plants and Worms, Among Others,” subscribers can find it in the New York Review of Books, April 24 issue or online. If you’ve read Uncle Tungsten, Dr. Sacks’s memoir of his boyhood, you may remember that his grandparents Marcus and Chaya Landau, who raised eighteen children at the turn of the twentieth century, were firm advocates for the equality of men and women, especially when it came to education. While many of their nine sons went into chemistry, physics, or metallurgy, the sisters were drawn to teaching and medicine. Muriel Elsie Landau, Dr. Sacks’s mother, was one of the first women surgeons in England, and four of her sisters founded or ran schools. 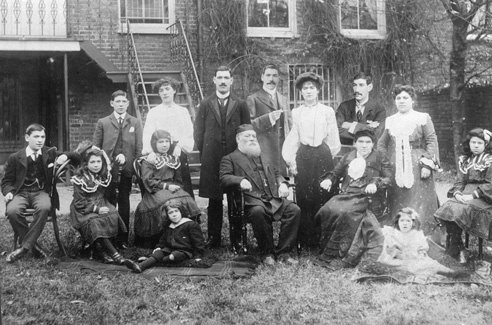 The Landau family: Annie is standing second from the right; Elsie second from the left. One of these remarkable women, Annie Landau, left the comforts of London for Palestine in 1899. She knew no one in this new country, but was determined to help provide a wide-ranging education for the Anglo-Jewish girls in Jerusalem, at a time when most of them were impoverished and illiterate, denied education and pushed into teenage marriage or prostitution. They could not have found a better champion than Annie Landau, whose passion for women’s education overcame all sorts of cultural and political obstacles. Her parties for the city’s elite were legendary, and the school which she directed for forty-five years left a lasting legacy on the development of Jerusalem as a thriving modern culture. Historian Laura S. Schor has just published The Best School in Jerusalem: Annie Landau’s School for Girls, 1900-1960. It paints a vivid picture of life in Jerusalem in these formative years, and brings to life a forgotten chapter of the history of education and of women. Dr. Sacks has so enjoyed the book that he has sent out dozens of copies to his cousins (eighteen children lead to a lot of cousins!). We hope you enjoy it, too. Only a week or two ago, it was warm enough in New York City for Dr. Sacks to wear his new American Fern Society t-shirt outside; by tomorrow, we are expecting single digit temps. Whatever your weather, we wish you all good things for this New Year: health, happiness, friends, and an appreciation of wonders large and small. Cheers! This Thanksgiving, we thank you, dear readers, for your support. 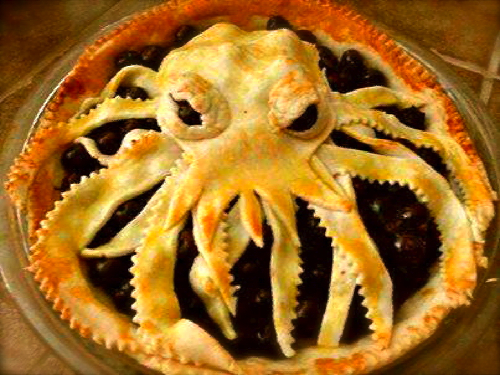 And since Thanksgiving is time for pie, here’s one of our favorites: Octo-pie! Octopus pie baked and photographed by Eve Archer (via Steve Silberman). For his 80th birthday this past summer, Dr. Sacks promised himself more time to write, and he is working now on several new books. They are still in early stages, but they will include stories of Dr. Sacks’s early doctoring days, as well as new neurological mysteries and a few essays on Big Topics like consciousness, evolution, and memory. Oh, and the minds of octopuses and other invertebrates. Stay tuned for updates. We are sad to note the passing of Doris Lessing, whose groundbreaking works, including The Golden Notebook, earned her a Nobel Prize only a few years ago. In 1973, she reviewed Dr. Sacks’s book Awakenings, saying, “it makes you aware of the knife-edge we live on.” Dr. Sacks will be returning to that theme at some point, when he finishes an essay on the frailty of health and knife-edges of various sorts, from Parkinson’s disease to Alzheimer’s to simple old age. What do Rachel Carson, J. R. R. Tolkien, Aldous Huxley, William Styron, Toni Morrison, Galileo, Mark Twain, Judy Blume and Madeleine L’Engle have in common?They all wrote great books—books which were banned from libraries, banned from schools, banned from publication. Of course, they are just a few authors to have achieved this dubious distinction. This week is Banned Books Week, and you can find out more at your local library, or at many websites including that of the American Library Association.But we’d like to salute all those other librarians—the ones who fight hard to keep all books available to all readers, and work hard every day to bring us everything from bestsellers to rare and wondrous collections on every subject imaginable.Take a moment to thank your local librarian! 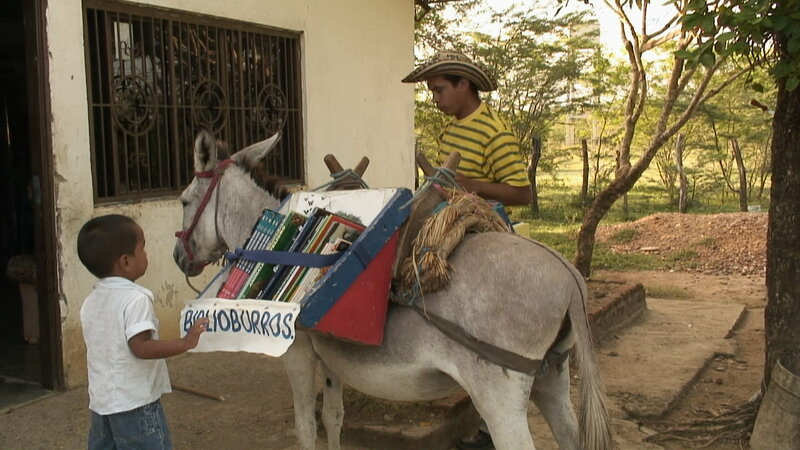 Volunteer some time at a library, or maybe even start your own, like the folks at Little Free Library or Biblioburros. The last few weeks have been exciting! Hallucinations just came out in paperback in the US and UK, and is already on the New York Times bestseller list. Dr. Sacks turned 80 on July 9, and celebrated with family and friends. Element 80, quicksilver, was much in evidence. His friend Joanne gave him a brilliant mercury t-shirt, his publisher sent a statue of winged Mercury for his desk, and his friend Theodore Gray delivered a flask of liquid mercury—satisfyingly heavy, and it makes a great sound when swirled, rather like a superthick milkshake. For photos of these and more mercury madness, check our Twitter and Facebook feeds. How does Dr. Sacks feel about entering his ninth decade? He had this to say in an essay for the New York Times. Looking for summer reading? Try The Sound of a Wild Snail Eating, a beautiful meditation on the meaning of life (both human and snail) by Elisabeth Tova Bailey. Dr. Sacks loved this book so much, he bought a dozen copies to send to friends. Finally, thanks to Robert Krulwich and our friends at Radiolab for this podcast, in which Dr. Sacks explains how thousands of worms and a motorbike accident led to where he is today. Forty years ago today, the first edition of Awakenings was published in England. It was the second book by a little-known doctor, Oliver Sacks (the first was Migraine), and it told the extraordinary Rip-van-Winkle story that would inspire so many readers and quite a few dramatic adaptations, including a Hollywood film starring Robin Williams and Robert De Niro, a one-act play by Harold Pinter, a ballet composed by Tobias Picker, and a short film by Bill Morrison and Philip Glass. Awakenings continues to inspire people around the world with the courage of these long-forgotten people immersed in the most profound illness and then reemerging into life. PS: Check out encore presentations of this year’s New York Live Ideas festival devoted to “The Worlds of Oliver Sacks.” (Click on Videos and scroll sideways to see different events.) The festival included a number of new works of art inspired by Awakenings, as well as the world premiere of “A Kind of Alaska” in American Sign Language.